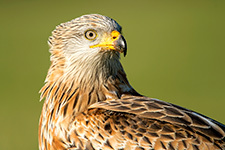 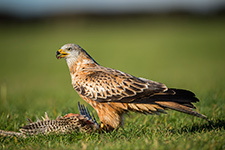 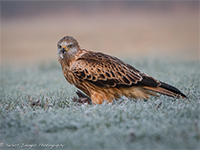 The Red Kite is becoming an increasingly more common sight across the UK - particularly in a few counties where reintroduction programs have been a huge success. 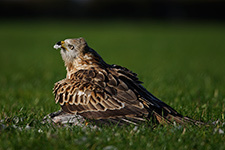 Our hides are based quite close to one of these programs and so have excellent numbers of these majestic birds around our hides. 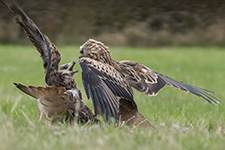 These birds tend to prefer to feed on the wing however we have had great success over the years with them feeding on the ground for long periods and making multiple visits to the roadkill we put out for them.